If you haven’t found that perfect gift for dad, don’t worry…yet. Amazon is offering FREE one-day shipping on select items for Father’s Day. Head over to Amazon.com and check out these participating gift ideas for dad. Don’t forget, you can always get an Amazon.com gift card too! Offers Jun 13, 2011 in Amazon, FathersDay · Expired! If you are heading to Rite Aid, you might want to grab this deal on Father’s Day Cards. As always, check your weekly Rite Aid ad to make sure your store is offering this +UP Reward deal. It may not be available in all areas. Let me know if you get this deal! Final price: FREE + $1 Money-Maker! RiteAid Jun 10, 2011 in FathersDay · Expired! Eversave has a great deal for Dads just in time for Father’s Day. You can get $10 for $20 worth of protective cases for iPhone, iPad, Blackberry, Smartphone. PLUS, free shipping from Case-Mate.com. You can even customize the cases making this a perfect gift. This is an online deal that anyone can take advantage of. Head over to Eversave and check out this deal! Choose a design from popular collections or create your own. Daily deals May 23, 2011 in FathersDay, holiday · Expired! Here’s what’s happening this weekend in honor of Father’s Day! Remember to call your local locations to make sure they are participating. Happy Father’s Day to all you dads out there! Buca Di Beppo: Print a $10 off $20 coupon to use on Father’s Day 6/20 11-4 pm. Denny’s: Make dad a card and receive a free ice cream float! Get Denny’s card on Facebook! IKEA: Dads can enjoy a FREE Breakfast (eggs, potatoes, bacon) and coffee at IKEA on June 20th. McDonald’s: FREE breakfast on Father’s Day when you purchase Extra Value breakfast. Coupons Jun 19, 2010 in FathersDay, free · Expired! Still need a gift for Dad? Head over to Red Envelope, they have a great Father’s Day gift guide. 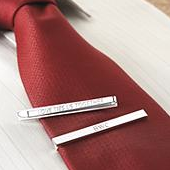 Get 20% off any Father’s Day gift from Red Envelope now through Father’s Day!